I nodded. Eagerly she asked if I’d taught at Glenbard West. I nodded again. “Oh, Mrs. Ljung, you were my English teacher!” Her enthusiasm caught the attention of clerks and other shoppers as she told me her maiden name, resurrecting my memory of this delightful honors student. Her gusto pleased me, and I realized how central relationship-building had been to my teaching. When we try to estimate how many students I’ve taught over the years, the numbers blur. Some took three of my classes at West, while others I only knew for a semester. The figure hovers between 2500 and 3000, so sometimes the memories of an individual are slow to return. But the pleasure, the human connection – that’s what made teaching so special to me. I tried to be real for my students as well. Photographs of my family filled my room, as did rocks from our kayaking journeys, artwork, and treasures from travel. Students knew when each grandchild was born. They knew my husband from pep rallies, Faculty Follies, and prom. When my grandson, now a high school senior, visited me as a toddler, my students showed him around, and he talked about the “school for big kids” for months afterward. Coming to recognize the way the culture prevented my gay and lesbian colleagues from having that kind of relationship with their students began my activism for inclusiveness and safe space. In hindsight, I realize that had I been a lesbian, I, too, would not have been out, but I’ve come to understand that the culture deprived not only those colleagues but also any students who themselves were closeted in any way. That injustice fueled my activism. Highly effective teachers tend to know their students well enough to figure out how to reach them more. I believe that teachers who let students know them as individuals, with lives outside the classroom, build those relationships better. 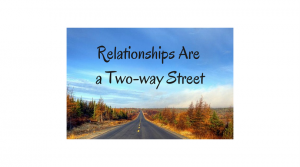 Boundaries are important and many require more privacy than I do, but I believe human connections require a two-way street. I hope that relationship-building made me a more effective teacher. I know it made teaching more fulfilling for me. In August of 2011, having avoided Facebook for years, I finally made a personal page because we kept hearing how necessary a FB page was for our glass art business. Over the years our business page has shown limited impact, but the personal page led to reconnecting with so many former students! One wrote, “Yay FINALLY!!! !” and another, “Hath hell frozen over, Ellen Ljung on Facebook!” Both were students I knew well, but many others showed up over the years, writing comments on my timeline, resurrecting memories, filling me with gratitude. Full understanding of the text requires background knowledge and context. If you know nothing about the game of soccer, for instance, an article about soccer will inevitably be more opaque. Reverse the trend of spending more time on literacy instruction and less on knowledge acquisition; at least use high-information texts. For accountability, use assessments that match the kind of background knowledge for the particular student population. As a retired reading consultant whose career veered off into constructivist learning, I find myself struggling with Willingham’s vision even as it makes sense to me. I have come to believe that content and information can be acquired when there’s a purpose for knowing them, but that skills trump content. The whole thrust of problem-based learning requires a tactical approach to locating and using knowledge based on critical thinking skills. Yet I agree that, even though I’m a proficient and prolific reader, I struggle with materials for which I have very limited background information. Reading about them requires delving beyond the immediate text. If I struggle, what must it be like for inexperienced readers? Perhaps the best answer is a recognition that we needn’t make an either-or choice. 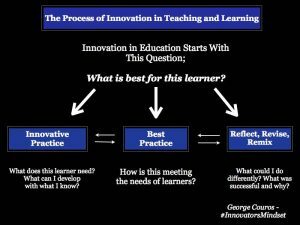 I choose to believe that knowledge acquisition can occur when learners have a genuine need for that knowledge and the skills to locate and use it. But educators should support emerging readers by helping them build a broader knowledge base to improve their deep comprehension. Can’t we come at these issues from both directions for a win-win? I recently had lunch with a delightful young friend who has had a successful career teaching people how to use industrial chemistry equipment. He’s tired of the travel and loves the teaching, and he lives in a state with such a severe shortage of STEM teachers that some science courses are taught by teachers certified in entirely unrelated areas. Although he could easily walk in the door and get a job based on his knowledge and experience, he’s choosing to go through an alternative certification program to be better prepared. He has his content knowledge down and he has volunteered in a program with young adults, but he wants to learn more about being effective in a school classroom. 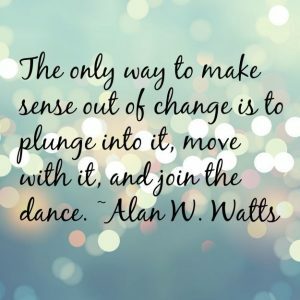 This took me back to my own husband’s journey through alternative certification. After a successful career in physics that included teaching at the University of Wisconsin and Yale University, he decided teaching high school students to love physics would be the ideal post-retirement career. After completing an alternative certification program, he replaced the science department chair at an affluent suburban high school who, as Illinois teacher of the year, had a one-year leave. 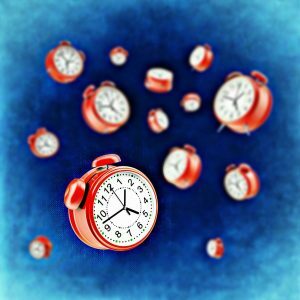 When I expressed qualms about the two hours of daily driving piled on top of the demands on a new teacher, he assured me that he loved to drive and would use the time to decompress. 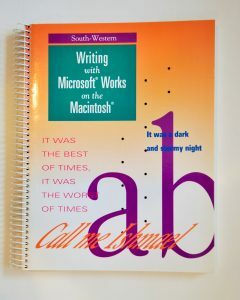 Besides, he knew that I worked such long hours because I was a workaholic who taught writing. Surely he could be more efficient. He wasn’t. Five classes and three preps threatened to overwhelm him. He, too, knew his content, but he didn’t always know how to reach students. The substitute department chair had no supervisory training or experience. When Don struggled with classroom management issues, she required him to observe another teacher every day during his plan period. Such observations can be very helpful if they’re accompanied by debriefing and projecting techniques into the observer’s classroom. But that didn’t happen, and the loss of his daily plan period added to his being entirely overloaded. Don learned to embrace retirement and, like so many new teachers, left teaching. His experience was tough but not unexpected. Being in his late 50s, never having had to deal with not being successful, having been in management – none of these prepared him. My friend’s experience should be different. He’s younger, with boundless energy, and he’s worked with young people the age of his students. But Don’s experience still provided a revelation for me. My first paid teaching was in 1970. The first special education mandates didn’t happen until 1975 with the passage and initial enforcement of Public Law 94-142. Over time we received training in issues like substance abuse and mandated reporting. We didn’t deal with 504 hearings, which allow students to obtain special accommodations without a special education designation and IEP, until the 1990s. 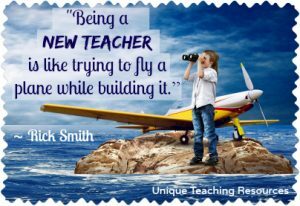 New teachers don’t have the luxury of layering these learnings over time. From the moment they walk in the classroom, they have to manage all of these responsibilities, even as they tend to have the most preps, often the most demanding classes, and often some additional extra-curricular responsibilities. Thrusting inexperienced teachers into those conditions makes their success far less likely. If and when they leave the profession, we are all poorer for it. Although teacher attrition has dropped from the earliest years of this century, when 40-50% of new teachers left the profession within their first five years, the current rate of 17% still seems far too high. Teacher training is expensive, and this waste of human resources might be reduced if we provided more realistic assignments and proper support to our newest educators. I feel optimistic for my young friend and grateful for the students and school that get him. But I worry about the future of public education when we fail to support new teachers and help them reach their potential. We need to do better. We’ve just returned from our 14th major kayaking trip, and I was struck by the harmony of our group. 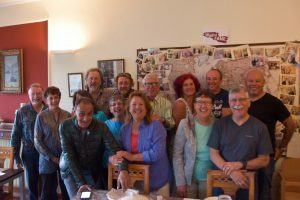 In fact, the three best groups we’ve enjoyed paddling with all were on trips with one outfitter – clearly he [and his partner for Italian trips] know something about group dynamics. Effective facilitation of classroom communities seems critical to learning, so I asked them their secrets. Our American outfitter articulated specific strategies he used. “I’m always scanning the group, even as I’m listening to one person in particular, checking in on where they are and how they’re feeling,” he began. “When I’m talking with someone who’s sitting down, I sit down and mirror their body language… sometimes guides stand over people and intimidate them without realizing it.” When pushed, he acknowledged that they always had the details well-covered, which makes clients feel secure. They sought natural times for bonding over food and drink, avoiding contrived icebreakers. And they worked on being flexible to meet a variety of needs, like the time they provided a van for four of us who needed to avoid the extremely steep mountain hike to a church. His Italian counterpart suggested that it just happened naturally, but another client and I agree: when he sees someone who seems aside from the group, he naturally draws them in. “Come, sit,” he’ll say with his welcoming smile and arm out. Gregarious by nature, he intuitively pulls people into the conversation. An excellent paddling coach, he identifies where people are in their skills and finds teachable moments to help them improve. And he acknowledges that improvement with genuine praise. Both men make sure we have excellent equipment, delicious food and drink, and natural chances to bond. They plan for every contingency – not just a plan B but a C and a D and so on. When the weather turned hostile on our second-to-last day, they identified a group who wanted to go up the mountain in ski-type gondolas and a different group of hard-core paddlers – we all got our first choice. When the rains came the final day, they arranged a visit to a castle with a fascinating doll and toy museum and a spectacular view. We’re so impressed with the way they run their trips that we go to them for all of our international kayaking now. I was an awkward child: born with a pseudo-club foot [my left leg was shorter than my right and my left foot turned outward], I lacked balance and agility. My pediatrician recommended years of modern dance as physical therapy, combined with special custom inserts in my shoes called Cookies [like today’s Orthotics] as a better alternative to the disfiguring and often unsuccessful surgery then used as treatment. So I was lucky. Fearful on land, I was fearless in water, and swimming became my refuge. But I never saw myself as athletic. My parents loved me, but their efforts to support me were sometimes misguided. They nicknamed me “Cookie” after my inserts, reinforcing my sense of inadequacy. When others were learning to ride a bike, they borrowed one that was far too large, dooming my cautious efforts. I didn’t learn to ride a bike until I was 27 years old, but 17 years later I rode 500 miles across Iowa on RAGBRAI [Register Annual Great Bicycle Ride Across Iowa] with my husband and 10,000 other riders. Later that year I did the bicycling part of a biathlon and a friend did the running, and we won our age group! What made the difference? A teacher/coach who believed in me and created small incremental steps that paved the path to success… My husband grew up riding bikes and considered bicycling with our toddler boys on kids’ seats an obvious family activity. He refused to allow my conviction that I couldn’t ride a bike to interfere. He borrowed my friend Gloria’s bike, got her to watch the boys, and took me to a deserted parking lot. Cajoling and encouraging me, he persuaded me to try pedaling while he held on, only letting go when I wasn’t looking. He was, of course, right: I could ride a bike. We bought a bike for me and seats for our sons, pedaling all over the neighborhood. His confidence in me led to be more adventurous, to have more faith in myself. We took our sons to a dude ranch in Colorado in 1981, 19 years after I’d given up riding because of a bad accident. I rode again and regained my comfort on a horse. I got my family into whitewater rafting on that trip, and four years later we paddled a raft through big rapids, including Crystal and Lava, in the Grand Canyon. I was the only member of my family to tube a big rapid in the Canyon, too. And I joined a women’s soccer league in the early 80s. Always afraid of heights, I nevertheless parasailed in Nice in 1986. We raced a canoe for ten years, and I paddled an inflatable kayak through big rapids on the Salmon River in 1991. We’ve been kayaking since 1995 and now travel internationally to kayak. I’ve ziplined in Mexico and kayak-sailed in Belize. Why share all this information here? None of those endeavors would have occurred without the support and coaching of my intrepid husband. He taught me to believe in myself and my ability to tackle athletic endeavors. And the adventures continue. 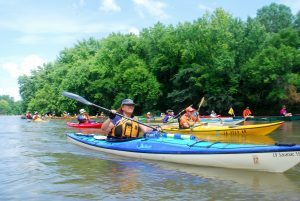 We just returned from the Great River Rumble, a 95-mile kayaking trip on the Root and Mississippi Rivers with over 200 other paddlers. This was the first long trip I’d done in a single. Although I’d been the one to suggest this trip, nerves stole my sleep for weeks before left. I feared its rigor and challenges. We did meet challenges: very technical paddling the first day, two days of searing heat, a monsoon, and a tail wind with gusts up to 24 miles per hour that flipped some boats. But I did it. And I enjoyed it. And I felt proud of myself for this accomplishment. My husband/coach/biggest supporter made that possible. He encouraged me every time I chose to take a risk, supported me when I needed help, and celebrated every success. Isn’t that what a good teacher does? Teachers help students succeed by breaking seemingly insurmountable tasks down into baby steps. They support students so they can succeed and move to the next step. And when students encounter a temporary setback or failure, they remind them of their past successes to enable future success. I often told students, “There’s nothing here that you can’t do,” so often that they sometimes finished the sentence for me. But I always meant it, because I was confident that I wasn’t asking more of them than they could manage. I would ask more and more, but only in incremental steps. I had teachers like that in my own schooling. They taught me that the limits I felt were usually self-imposed. They helped me break those “limits” by breaking down the challenges I was facing into doable segments. Every learner deserves that kind of challenge and that kind of support. I am so grateful to have had such challenges and support in both my academic and my personal lives! Taken aback, clueless about her drinking in the past, I congratulated her for such a significant accomplishment. She accepted my praise graciously, but that didn’t feel like enough. “I don’t think I knew,” I admitted. “I’m sure you didn’t,” she replied. This lovely young woman assured me that she’d been very good at masking, that others far closer to her than a some-time English teacher hadn’t known either. I found little comfort in that. I’d become a teacher to make a difference in the lives of my students. I knew my district had provided training in spotting alcohol and substance abuse, and I’d suspected other students. Why not her? I appreciate her perspective and accept her gratitude, but I’m still struggling with my failure to pick up on the clues. How can teachers know, especially with students who are always under the influence, whom they don’t know any other way? And what avenues are open for teachers who have suspicions but don’t want to wreak havoc in a student’s life if they’re wrong. I don’t have the answers yet. A Google search failed to comfort me. Data suggest the problem is widespread. Tarlov and others wrote, “During a 30-day period in 1985, 65 percent of high school seniors drank alcohol, 30 percent used marijuana, 15 percent snorted cocaine” (1986). According to Towers, “Teachers exert a significant influence on students’ attitudes, knowledge, and opinions. They can complement a school’s drug abuse program by incorporating drug abuse prevention strategies into their subject at any grade level (1987). All good suggestions… but you have to spot the issue in the first place. I didn’t. I wish I had. If I were still in the classroom, I hope I’d be more aware and more astute, more likely to recognize even those students best at masking. I hope today’s teachers do a better job than I did! “I am honored that you quoted me. I hope that you are at peace with the fact that there was no way for you to know about my drinking/using in high school. There were layers and layers of things going on with me, and that was my way to medicate. Author ellenjoPosted on July 25, 2017 July 25, 2017 Format LinkCategories UncategorizedLeave a comment on What’s Behind the Mask? 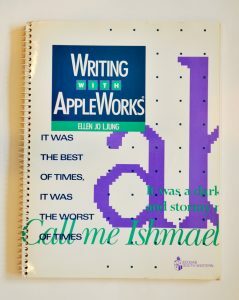 In the late 1980s my Illinois Writing Project training changed my approach to teaching writing forever. A writing workshop approach with portfolio grading displaced my traditional rote lessons, and I wrote and shared alongside my students. 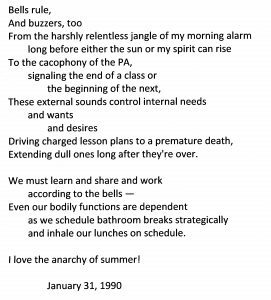 Midway through the 1989-1990 school year, my frustration over a life led by bells produced the following poem. Once again my writing revealed truth I had ignored. 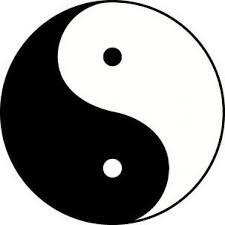 I hated the rigid structure of school and its command of my life. One semester my lunch period might start at 10:30 am, a plausible enough fit with a 5:30 am breakfast. Another semester, though, might make me sit until after 1 pm, forcing me to sneak a snack in during passing time. And come the end of school in late June, I often forgot to take bathroom breaks until urgency commanded them, so accustomed was I to my dependence on bells. I see the humor in all this; I even saw it then. But one of the great joys of retirement is liberation from this tyranny. The first few years I refused even to wear a watch. Our system of scheduling learning in the public schools serves the masters of efficiency and uniformity, but it can be “cruel and unusual punishment” for those forced to partake in it.